WOOSTER — A member of an Ohio-based white supremacist group affiliated with the Ku Klux Klan says his organization is recruiting members in Ohio and plans to hold a rally next month. The Akron Beacon Journal reports Terry Greathouse of the Ohio realm of the East Coast Knights, a KKK-affiliated group, says his organization has been targeting eastern Ohio counties because of growing interest there and the area’s history of KKK involvement. Flyers from the group have been found in and around Wooster, a city in Wayne County nearly 60 miles south of downtown Cleveland. The local NAACP chapter and other organizations plan to hold a rally Sunday opposing racial hatred. Greathouse says his group wanted to hold a counter-protest, but didn’t submit plans to police in time. COLUMBUS — A death row inmate convicted and sentenced in the slayings of five fellow inmates during a 1993 prison riot in Ohio is appealing his case to the U.S. Supreme Court on new grounds. Forty-eight-year-old Keith LaMar’s latest legal push plays off the court’s ruling last year finding Florida’s death penalty scheme unconstitutional, saying it gave judges too much power and juries not enough to decide capital cases. LaMar argues the Ohio Supreme Court must revisit his case in light of the new standard, since Ohio’s scheme is similar. The state has until Sept. 18 to respond. LaMar was convicted of aggravated murder in 1995 for the deaths of five inmates during the riot at Lucasville’s Southern Ohio Correctional Institution. He received the death penalty for four of the five killings. COLUMBUS — Police say a 17-year-old boy has been found fatally shot on a sidewalk south of downtown Columbus. The teen has been identified as Shaquan Brown. He was killed Thursday afternoon while walking through an apartment complex. Police say Shaquan lived on the city’s West Side but not at that complex. Columbus police officers and SWAT team members searched for suspects and potential evidence after the shooting. No suspects have been arrested. Residents of the apartment complex told The Columbus Dispatch that gunfire and shootings are common there. 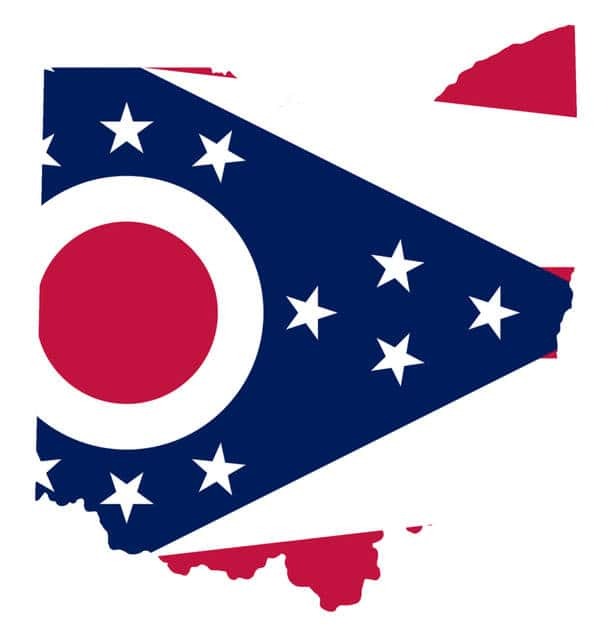 COLUMBUS, Ohio (AP) — An employee at the Franklin County Community Based Correctional Facility has been placed on leave amid an investigation into potential mismanagement of funds. The Columbus Dispatch reports that 63-year-old Rickey Hodge, an accounts receivable analyst at the Franklin County Community Based Correctional Facility, was placed on leave Thursday. The Franklin County auditor has requested the state’s help investigating “suspicious activity” related to the jail’s financial management and reporting. He noted issues including vendors not being paid and commingling of money. Hodge did not respond to calls to his home Thursday. The jail’s director doesn’t believe Hodge has done anything wrong. The facility is owned by the state but run by the county. It accepts low-level offenders and provides education and drug treatment services to help inmates reintegrate into society after their release. LIMA — Authorities say prison guards have confiscated pills from the cell of a former Ohio county sheriff serving time for drug and theft-in-office charges. The Sandusky Register reports prison guards found a bottle containing more than a dozen pills of different varieties during a search last month of former Sandusky County Sheriff Kyle Overmyer’s cell at the Allen Correctional Institution in Lima. Prison staff couldn’t identify the pills. Overmyer claimed they were multi-vitamins. A report said the pills were considered contraband. It’s unclear if Overmyer has been disciplined. The former sheriff was sentenced to four years in prison in March after pleading guilty to charges related to the theft of drugs from a box used by local law enforcement agencies in northwest Ohio to drop off discarded medications. CINCINNATI — The Cincinnati Zoo says its popular baby hippo will star in an internet video series called “The Fiona Show” starting next week. Fiona was born Jan. 24 weighing about 29 pounds. She overcame early health scares and now weighs more than 450 pounds.